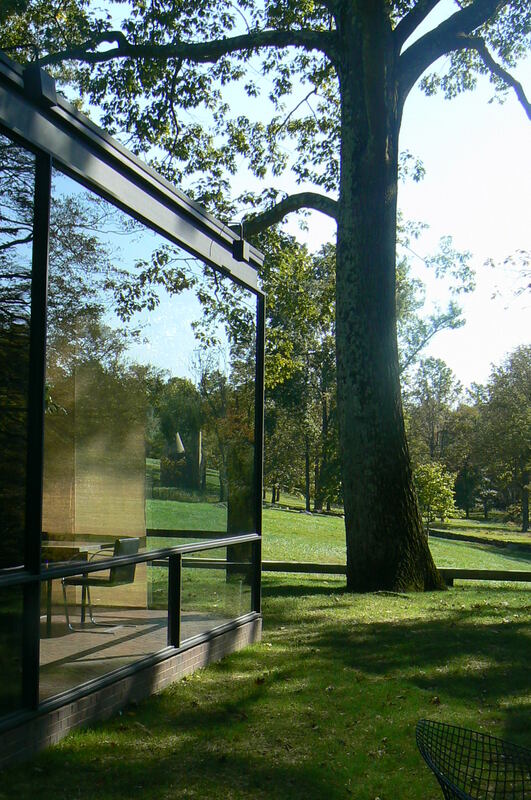 This past weekend, we visited the glass house–as in Philip Johnson’s 1949 little gem, not Billy Joel’s album circa sixth grade. Johnson lived to be nearly 100 (he died in 2005) and the house and its grounds have just been opened to tours this year by the National Trust for Historic Preservation. 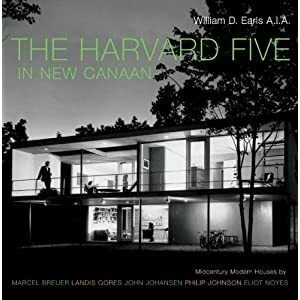 Located in New Canaan, CT, it’s a great architectural field trip from New York, or if you happen to be heading that way. Johnson’s other building experiments on the property aren’t as impressive–but he was a friend of Frank Stella, and so am I (figuratively, in my case). Although the McMansions of the super rich have mostly devoured the town, there are still about 90 modern houses sprinkled about. Visit the Irwin Pool House (designed in 1960 by Landis Gores) in lovely Irwin Park for a complete survey of the modern homes in the area. The New York Public Library (42nd Street) hosts a crafternoon one Saturday each month. The program draws some luminaries of the crafting world, and fills the room with interesting crafty people. I went to one last year with Denyse Schmidt, Heather Ross, and Liesl Gibson. Liesl taught us how to make little sail boat ornaments out of walnut shells, provided the supplies, and set us loose. 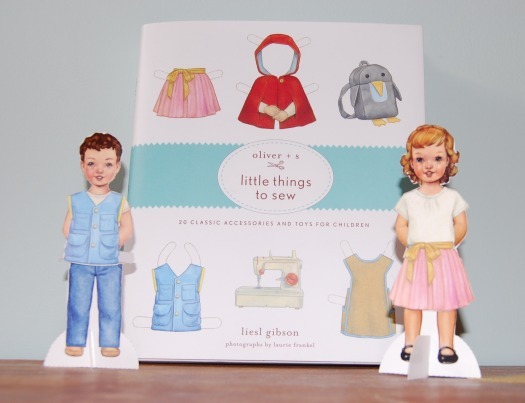 On April 2nd from 2 to 4, Liesl Gibson will be hosting again and talking about her new book Little Things to Sew. I would have already bought this book if my daughter did not have a “secret” plan to buy it for my birthday. I think she really wants the paper doll accessories from the dust jacket (pictured above), but she is genuinely pleased as punch with her birthday surprise (as am I). 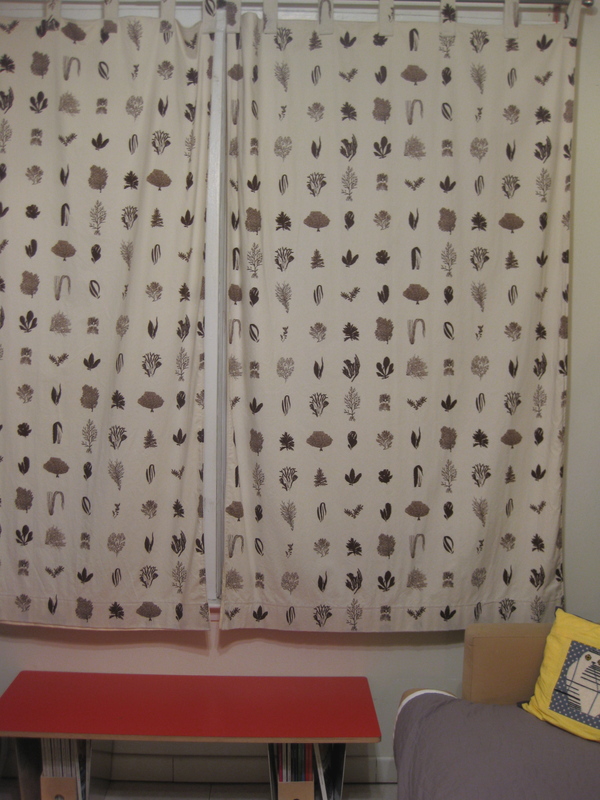 Here are some curtains I made using the purl bee pattern lovely lined curtains. In case you haven’t noticed, I am seriously enamored with all things purl. In case you are thinking of trying the pattern, it might be worth noting that it recommends pulling a thread to make a straight line for cutting, which is a very clever trick. After a painstaking hour of pulling tiny bits of thread, I couldn’t stand it and zipped through the fabric with my rotary cutter–so satisfying! But, as the pattern forewarns, it’s pretty much impossible to cut a straight line 60-inches long. As you can see below, my lovely lining peeks out from the bottom of one panel, but it’s really only noticeable upon close inspection. The fabric is from Joelle Hoverson’s collection Cake Rock Beach. 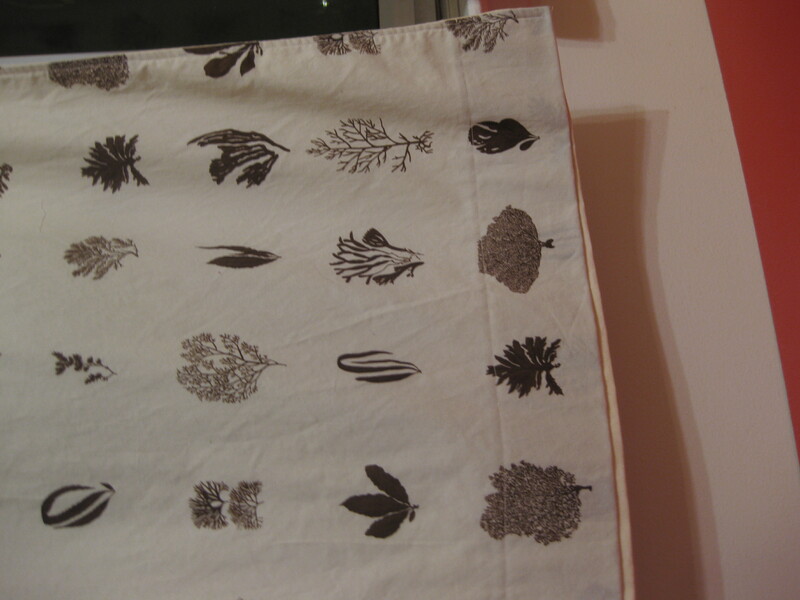 I love the seaweed pattern, which reminds me that Brooklyn is actually very close to the ocean! A three-day weekend, and a sale at my local, friendly yarn and fabric store, Brooklyn General–what could be better? 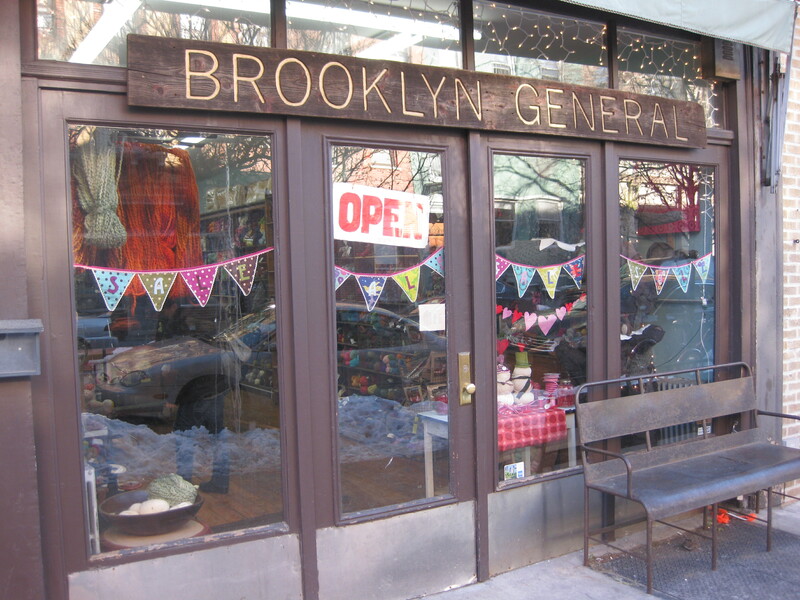 Brooklyn General is a cozy store with a great selection of natural fibers, a helpful staff, and a doll’s house in case you have a small person in tow. Another great thing–a few times a year everything in the store is 25 percent off, which is such a treat. 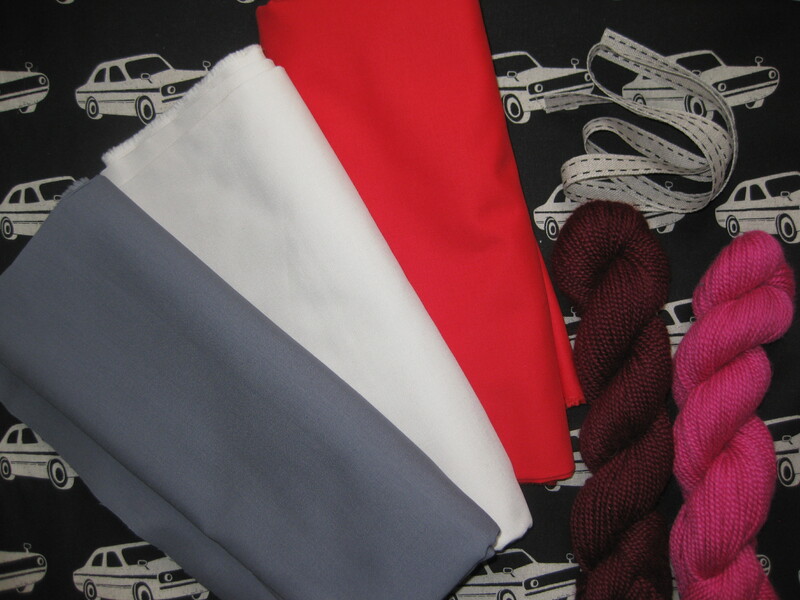 Here are the things I bought–the black fabric with the sporty cars is for a sewing machine cover, the yarn is for a keyhole scarf for my niece, and the plain cotton (Kona) is for just about anything.